We are Bowling Green’s most gentle and complete wildlife service! 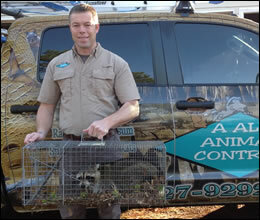 A All Animal Control is Bowling Green, Kentucky’s most complete wildlife removal company and your local wildlife control experts. We provide professional services for the control of Raccoons, bats, squirrels, opossums, birds, beaver, coyotes, chimney Swifts, flying squirrels, fox, geese, pigeons, skunks, snakes, sparrows, starlings, and many more wild animals. A All Animal Control is an industry leader in providing wildlife and animal pest control services for residential, industrial and commercial clients throughout the Bowling Green, KY area. We can handle all of your wildlife control problems and provide incredible service while using the latest technology and equipment. The control of wildlife requires a Kentucky state licensed Nuisance Wildlife Control Operator and a qualified professional to assure you of expert care and handling of your wildlife problem. Our wildlife control professionals have been specially trained in the control of wildlife specific to Bowling Green, KY and will take care of your wildlife problem in the safest way possible. All of our wildlife professionals undergo a rigorous training and certification program for nuisance wildlife control. Our wildlife professionals are licensed and insured for your protection and comply with all laws regarding Kentucky Nuisance Wildlife Control. 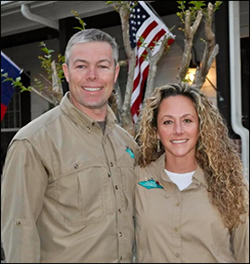 A certified wildlife inspection is the first step of the wildlife control process. Our inspectors will conduct a foundation to rooftop inspection of your property and the surrounding lawn area. We will identify the nuisance animals and recommend the best solution to your wildlife conflict. A All Animal Control Inspection Reports will give you a detailed description of your problem and the solution to correcting it. Our wildlife inspections will include color photos of any wildlife damage and areas that may need correcting in order to protect your property for the future. A All Animal Control technicians are trained and equipped to clean up all forms of hazardous animal waste such as guano, droppings, feces, urine, hair, body oils and poop. A thorough cleanup of animal waste is important to protect your family from diseases and ectoparisites that animals may bring into their nests. To make your home sanitary and secure, our highly skilled wildlife damage repair and waste remediation professionals can remove and replace contaminated insulation, repair entry holes, install screening, cap chimneys and repair siding. Our wildlife experts can also perform many other wildlife damage repairs in order to restore your property.